The Ontario Aquaculture Association welcomes our newest board member, Dr. Marcia Chiasson, Manager, Alma Aquaculture Research Station, for a two-year term beginning April 1, 2019. Earning both a Bachelor of Science and Master of Science degree in Biology at the University of New Brunswick focused in aquatic animal physiology, Marcia then completed a Doctor of Philosophy degree at the University of Guelph where she trained in genetics and breeding. 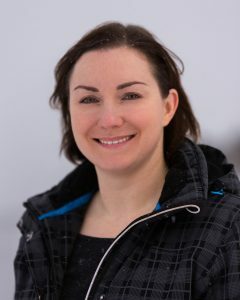 She has worked in the private sector at the Center for Aquaculture Technologies Canada and AquaBounty Technologies in addition to spending four years in the public sector at the Ontario of Agriculture, Food and Rural Affairs. In 2018, Marcia returned to the University of Guelph to manage the Alma Aquaculture Research Station. See a full list of the OAA’s current board of directors.